An international conference was held in Tirana, Albania, on the occasion of the International Women's Day. Maryam Rajavi, political personalities and activists of the equality movement from various countries participated. The conference entitled, "Women in Political Leadership", featured speeches on the threat of the mullahs' fundamentalist and misogynous tyranny in Iran, the Iranian women's resistance against the regime and the trailblazing role of the vanguard heroines of Ashraf. Maryam Rajavi made the following remarks to the conference. I congratulate you all on International Women's Day! 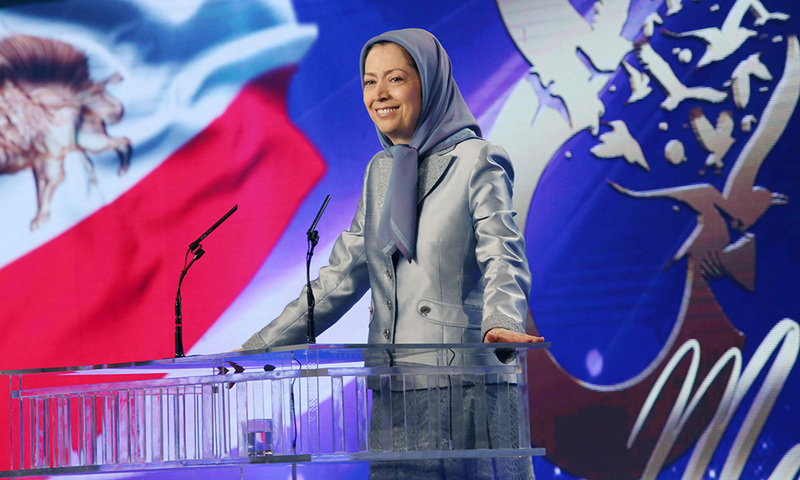 I would also like to salute the thousands of brave women who have been tortured or executed by the clerical regime in the course of their struggle against the velayat-e faqih. 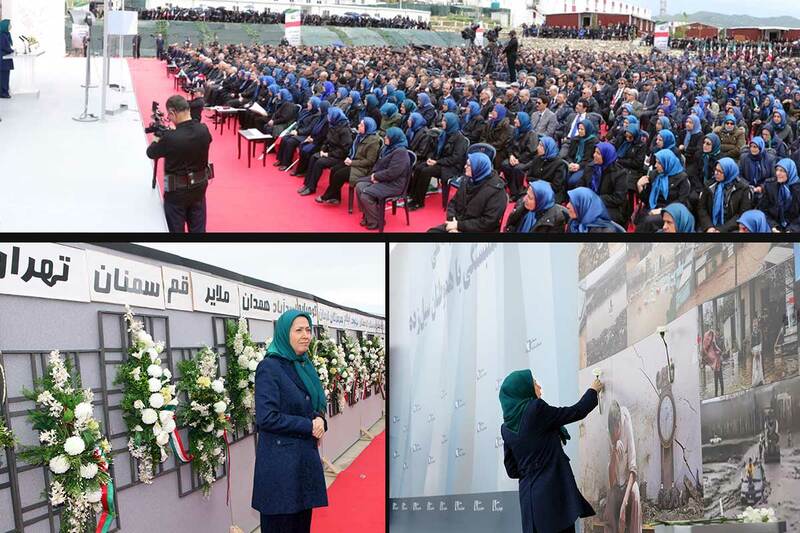 I am delighted that this year, we are observing the International Women's Day in the presence of a group from the 1,000 pioneering women of Ashraf, whose protection against the attacks of the clerical regime used to comprise part of our sisters' efforts and struggle around the world in the previous years. The PMOI's safe and secure relocation from Camp Liberty and out of Iraq, which was done collectively as an organization, was a heavy blow to the mullahs' regime. As demonstrated in their fierce missile attacks, they wanted to destroy the pivotal force of the alternative to their regime. But they failed. That said, I would like to extend my earnest appreciations to the government and people of Albania for their great initiative. They thus presented Albania as an example of freedom and humanity in today's world. I must also sincerely appreciate the honorable and inspiring women from around the world, a number of whom are present here today, who lent their invaluable support and assistance to the women of Ashraf. Solidarity with the one thousand women of Ashraf in recent years, has been one of the most brilliant and effective women's projects and one of the most glorious solidarity movements in the world. I hail all these dear sisters who participated in this solidarity campaign. I would like to use this opportunity to thank Iranian supporters of Ashraf who played a key role in this endeavor. I expect that they continue and expand their efforts in support of the Iranian women's struggle for their freedom and equality. First is the fact that the Iranian regime, in conjunction with its export of terrorism and fundamentalism to the region, is also the prime advocate of misogyny in those countries. Therefore, it should be considered as the most dangerous threat to women's achievements in today's world. Second is the fact that these defiant women have had a significant role in the fight against Iran's ruling fundamentalists. That women bear the brunt of repression in Iran, reveals the regime's defensive tactic against the existential threat it feels from women. The imposition of the mandatory veil on women and flagrant discrimination against them in educational and vocational arenas are only efforts to enchain women; otherwise the mullahs would not be able to preserve their power and they will be toppled by these women and with the efforts of the general Iranian populace. On the other side, women have proven their effective and growing role in the struggle against the mullahs' religious tyranny, for example in the scenes of confrontation with the Revolutionary Guards, in their unprecedented resistance in the regime's torture chambers and dungeons, through their presence in the first ranks of anti-regime demonstrations, in organizing the teachers and workers' protests and protests by other social strata, in organizing and leading an international social and political movement against the religious fascism ruling Iran, as well as in their active assumption of responsibilities in the organized movement of the Iranian Resistance. The point I would like to make is that for decades, women's struggles and the International Women's Day have focused on the elimination of inequality and violence against women as their objective. Today, however, women have a mission beyond these goals, of saving humanity from fundamentalism and terrorism. Please allow me to explain in this regard a special experience of the Iranian Resistance. In the 1990s, we faced the issue of women's leadership on various levels which changed the organizational structure of our movement. Our women had stepped into a path that had no previous precedent or examples in the past. So, they decided to remove anything that bore any sign of inequality, anything that ignored women or obstructed their collective participation, and built new relations in their stead. They overcame the monster of internalized disbelief as their main obstacle and began to cultivate a sense of self-confidence and believe their own abilities. They liberated themselves from the clutches of the mindset that viewed them as a mere commodity. Instead of passivity and evading responsibility, they chose to assume their responsibilities. They shunned fear of failure and weakness in the face of difficulties and created new relations based on camaraderie and sisterhood. The 2000s, which saw the US invasion of Iraq in 2003, followed by the Iranian regime's interventions, witnessed a difficult situation for our movement. The regime, with the assistance of its puppet government in Iraq, laid siege to Camp Ashraf and initiated a ruthless campaign to destroy the PMOI. At the same time, the mullahs took advantage of Western governments' policy of appeasement and launched a full-fledged offensive aimed at annihilating the movement. Women's leadership faced yet another challenge in such excruciating circumstances. The main question is how did they overcome the customs and traditions deeply entrenched through thousands of years, and how did they manage to carry on and move forward. The truth is that, this transformation since its inception in our movement, did not aim to simply switch the leadership roles of women and men. Women's participation in various leadership and management levels is indeed a step forward but it is not sufficient to create a new culture unless it is accompanied by a fundamental revolution permeating the entire culture and relations between men and women. And so long as it does not establish equality and solidarity, its achievements would tend to be reversible. And this is exactly where the message of our Resistance lies. The message is that women's leadership can become a lasting institution and tradition only when it is necessarily supported by men who have faith in, and are committed to, the ideal of equality, and who accept their rightful responsibilities in this regard. Without the presence of men who cherish and rise up to realize the cause of equality, women's leadership could not become reality. The experience of women's leadership in our movement became possible with the role that men played as pioneers of this new world. The path you have paved over the past three decades is a cause of pride and honor, not only for myself and all of us, but for our nation and for a humanity that thirsts for freedom. These liberated men formed new collective relations among themselves. They eagerly and passionately defended the cause of women's equality everywhere and endorsed their leadership. They created new values and ethics based on honesty, self-sacrifice, and giving priority to others. They firmly rejected the outlook that sees women as mere commodities. Such relations thus led to the fostering of far greater solidarity among men themselves. Therefore, women's equal participation in leadership is not a process that could be realized without men's emancipation. How could half of any community break the chains of subjugation and compulsion, while the other half remains in darkness? The experience of our movement proved that women's leadership grants them the status of equal and responsible human beings. This, coupled with men's acceptance of women's leadership, creates a liberating mechanism that leads to equality and better relations. As a result, sisterhood, brotherly relations, and solidarity evolve to seize new heights. This means that relations of both women and men become free from negative judgment and competition, as well as narrow-mindedness and prejudice. In this case, everyone sees other individuals' advances not as an obstacle but as a new opportunity for their own progress. Yes, in such an emancipated and free world, the advances of men and women do not contradict each other but are essential complements. In fact, the men of this movement have a message of emancipation for the Iranian society as a whole. The message is a call to our sons, brothers and fathers in Iran to rise up in defense of freedom and equality if they want to realize the Iranian people's freedom. Their emancipating message is "brotherhood", a message that has gotten lost in today's world. Therefore, women's leadership in the Iranian Resistance movement is the name and manifestation of a revolution that has created new relations based on genuine equality. I must stress that such equality is not confined to legal and political equality or in equal opportunities. Rather, it requires the enhancement of human solidarity where women take ownership of their own fate and men who believe in the cause of equality develop a productive, creative and active character in themselves. You, the PMOI, were able to sustain the bastion of freedom and equality for many years in the face of nine attacks and bloodbaths and two hostage-takings, during 677 days of sonic, psychological torture and despite eight years of an inhuman siege. At the international level, too, you defeated the blacklisting --at the mullahs' behest -- of the PMOI in Europe and the U.S. one after the other. You proved the legitimacy of this Resistance in over 20 courts. Therefore, the important conclusion about the developments of these years is that the steadfastness of the bastions of freedom in Ashraf and Liberty was made possible by such women and men, as were the Resistance's advancements in all the political, legal and international arenas. This is a shining experience about the amazing abilities present in the leadership of women and in relationships based on equality. This novel phenomenon is represented in 1,000 pioneering women and a generation of men who seek freedom and equality. Here I'd like to congratulate Massoud Rajavi for training and educating such generations of women and men, who have spawned this enormous transformation in the history of the Iranian resistance movement and movements of peoples around the region. So, it is right to say that the 21st Century belongs to women. We must remember, however, that women's leadership is genuine when it leads the way towards humane relationships and genuine equality between men and women, and towards engagement of a long line of men who believe in equality. A regime based on inequality marginalizes women. A regime that prevents the participation of a great portion of the populace in running their country's affairs, ends up with absolute tyranny, totalitarianism, monopoly of power, secret decision-making, corruption and repression, with the country's wealth and resources wasted. Women's leadership is the solution to this dilemma, which has become universal in today's world. I must stress that where there is no democracy, you cannot achieve it without women's equal participation in leadership. In 2011, the late Madam Danielle Mitterrand sent a message to the women and men of Ashraf and said, "My dear friends in Ashraf, the future is made by the sacrifices you make, but this is not enough. Everyone must always remember the message of hope to humanity written in your blood and the example you have set for the oppressed." Françoise Héritier, the prominent French anthropologist, also referred to the experience of women in Ashraf and Liberty and said, "If this experience proves to be successful, it would set a model for humanity. This will be a message to women. An unnatural reaction has been imposed on every woman since childhood for her to say that she is never going to be able to do things because everything she does is under the dominance of men. Now, this new message tells women not to surrender to such impositions but that they must accept to courageously undertake an adventure." Yes, the issue is to undertake the adventure with courage. And this is what the women of Ashraf have done. And hail to the proud women of Ashraf who sacrificed their lives during this glorious steadfastness. Hail to Saba Haft Baradaran, Asieh Rakhshani, Nastaran Azimi, and Mahdieh Madadzadeh, to Zohreh Qa'emi and Giti Givechian, to Kolsum Sarahati, Pouran Najafi and Nayyereh Rabii, among many others. Those who hoisted a flag carried before them by a long list of heroines and pioneers like Asharf Rajavi, Fatemeh Amini, Marzieh Oskouii, Azam Rouhi Ahangaran, Nosrat Ramezani, Azadeh Tabib, Tahereh Tolou, Mahin Rezaii, Nasrin Parsian, Batoul Rajaii, Farideh Vanaii and the countless brave women who were slain on the path of the Iranian people's freedom and emancipation. 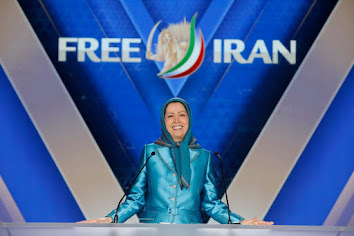 For the free Iran of tomorrow, we place great emphasis on women's equality with men and believe it is imperative for the overthrow of the religious dictatorship and is the guarantee for democracy; equality in the eyes of the law and judiciary, equality in the family, equality in economic opportunities, and active and equal participation in political leadership. We espouse women's freedom and freedom of choice, including her freedom to choose her attire and her career, and she must also enjoy the right to divorce. The ruling regime in Iran is the cause of retardation and decadence of Iranian society and all the countries in the region. It is the main cause of coercion in religion, the source of sectarianism among Shiites and Sunnis, and the advocate of stoning and inhumane laws under the pretext of implementation of the laws of Islam. Ask the nations of the Middle East, who is the main enemy of their life and subsistence? Ask the people of Syria: which regime provides the primary assistance to Bashar Assad in killing half a million of their compatriots, many of whom are also rendered homeless? Ask Syrian women: which evil force has taken away the homes of millions of Syrian women? Which regime created a bloodbath in Aleppo through its revolutionary guards and foreign militias and killed so many innocent children in cold blood? We see the mullahs' agents and emissaries even in the Balkans spreading fundamentalist ideas that pave the way for terrorism. All of these catastrophes and calamities are promulgated by the religious dictatorship ruling Iran. The women of Iran are burning today by the millions in the fire of repression, a plethora of crushing restrictions, poverty and deprivation. They and the displaced women of Syria and Iraq face a common enemy. Therefore, they have a common struggle and a common goal which is the overthrow of the Iranian regime. Change in Iran – and today I say, change throughout the world-- is realized by women blazing the trail. And finally, I would like to address you, the freedom-loving women and men of Iran. Freedom can be achieved by making sacrifices and paying the necessary price. It can be achieved by courageous rebellions against repression and humiliation. It can be achieved by resisting with bravery and hope, and by a relentless struggle to establish one thousand Ashrafs, and one thousand bastions of rebellion and struggle. Yes, we can and we must overthrow the velayat-e faqih religious dictatorship and we can and we must achieve freedom for Iran and establish a free republic based on equality. This is the test and responsibility of each and every one of us. To achieve this and to create a new order, we must rise up.